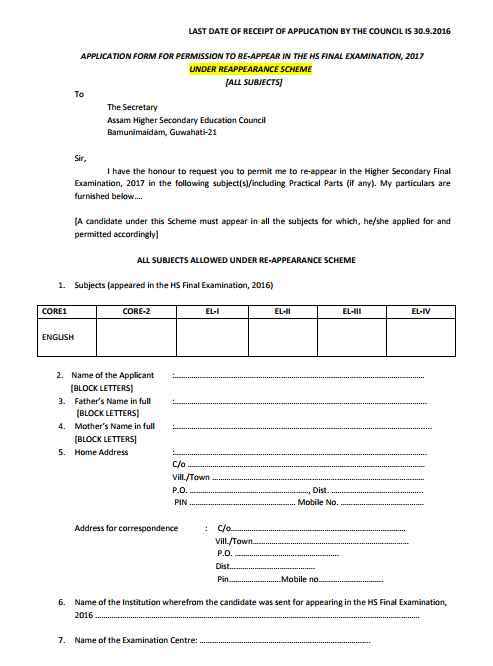 I need Betterment Result Scheme Application form and want to know more about Notification of Candidates who are desirous of appearing in the HS Final Examination, 2017 updated by Assam Higher Secondary Education Council? 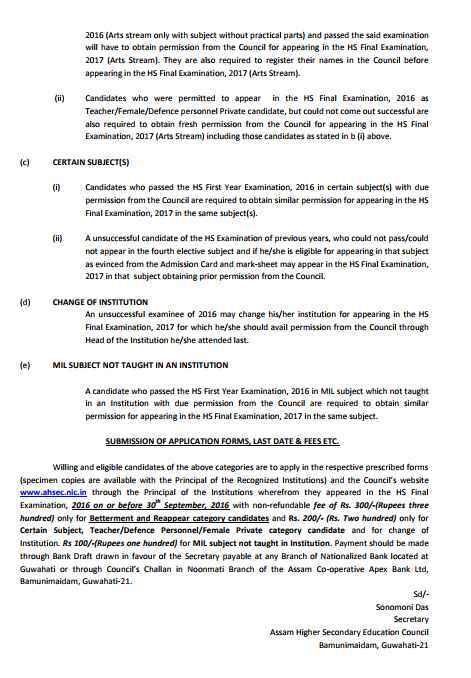 On your reference I will get information of Assam Higher Secondary Education Council, Notification of Candidates who are desirous of appearing in the HS Final Examination, 2017 and will also provide you Betterment Result Scheme Application form. 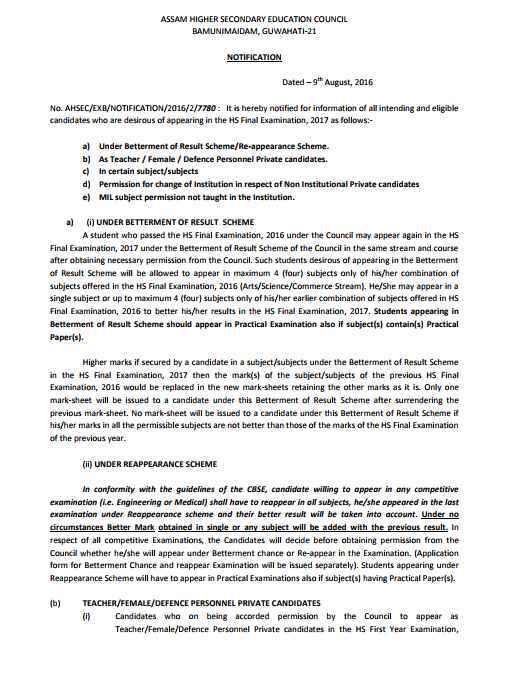 A student who passed the HS Final Examination, 2016 under the Council may appear again in the HS Final Examination, 2017 under the Betterment of Result Scheme of the Council in the same stream and course after obtaining necessary permission from the Council. In conformity with the guidelines of the CBSE, candidate willing to appear in any competitive examination (i.e. Engineering or Medical) shall have to reappear in all subjects, he/she appeared in the last examination under Reappearance scheme and their better result will be taken into account.